In a market where crossovers are the hot topic, SUVs are becoming watered down for a more sporty and attractive vibe, leaving behind their traditional capabilities. The 2016 Lexus LX is one of the few SUVs to retain that capability while also staying up to date with the more dynamic, athletic lines of contemporary exterior design. 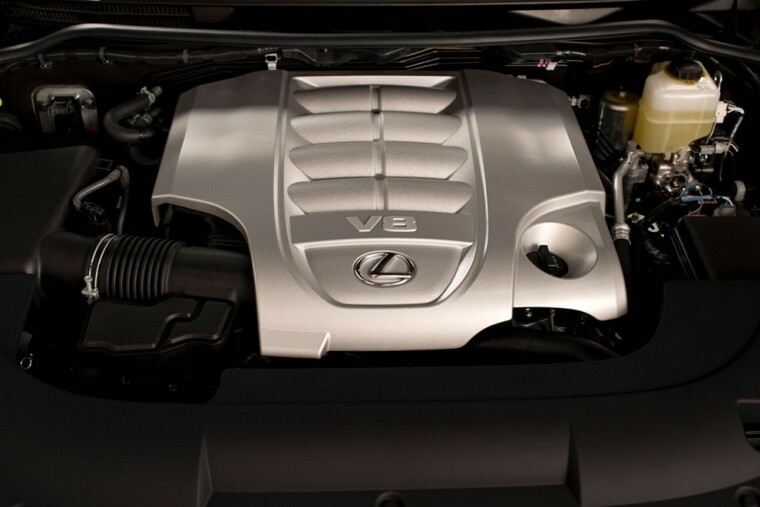 Revealed at the Pebble Beach Concours d’Elegance, it is certainly a worthy member of the luxurious Lexus lineup. 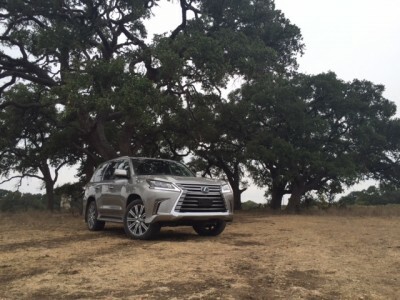 What’s New for the 2016 Lexus LX? 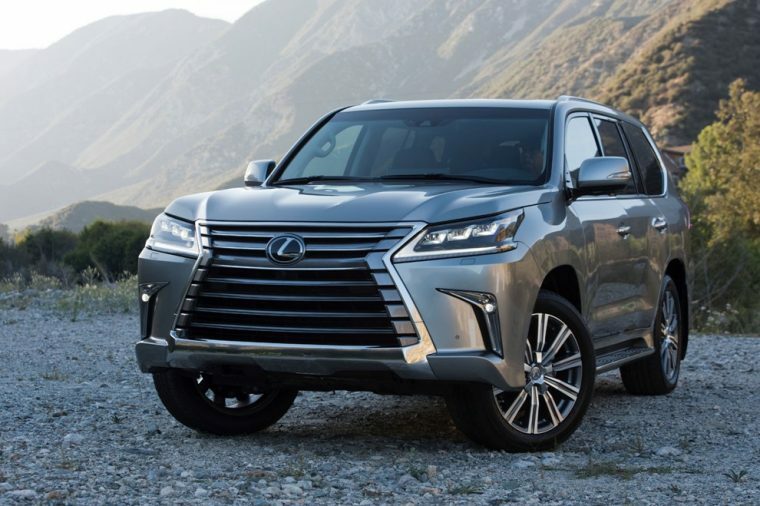 Receiving its third exterior refresh in the past eight years, the 2016 Lexus LX has an upgraded body with new styling cues and more advanced technology. 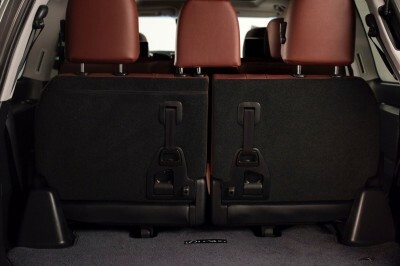 The larger dimensions makes for a more spacious cabin. 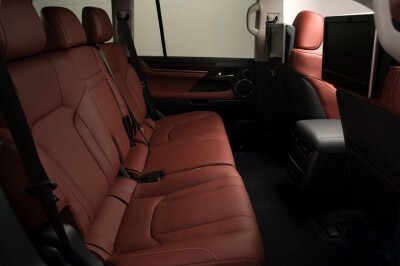 The Lexus LX also has new safety features and adds an eight-speed transmission. 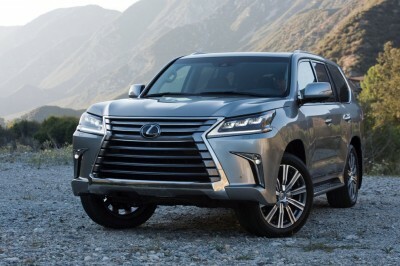 This full-size luxury vehicle combines the atmosphere of modern sophistication and refinement with the traditional truck-based SUV, giving the Lexus LX a more rugged and capable appearance than other vehicles in its segment. The exterior’s sheet metal has been entirely revised for the 2016 model year. 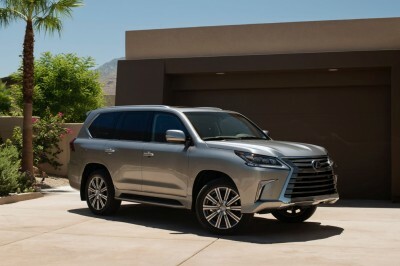 Plus, as with any vehicle that comes in only one trim level, the Lexus LX 570 comes with an extensive list of standard features, such as 20-inch alloy wheels, LED headlamps, rain-sensing wipers, roof rails, and more. As a vehicle equipped for off-roading and outdoors recreation, four-wheel-drive comes standard on the 2016 Lexus LX. The SUV comes with one engine option, a powerful 5.7-liter V8 engine that cranks out 383 HP and 403 lb-ft of torque. Intelligent systems such as Crawl Control, Multi-Terrain Select, and Active Height Control have also been integrated into the Lexus LX in order to allow drivers the option of improved off-roading experience, or simply improved capability and performance overall. 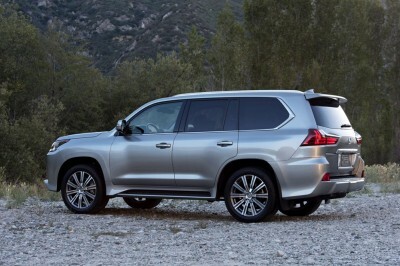 With 4WD, the new eight-speed transmission, and the V8 engine, in addition to a number of other performance capabilities that require more fuel, the 2016 Lexus LX can get up to 18 mpg on the highway according to EPA estimates. 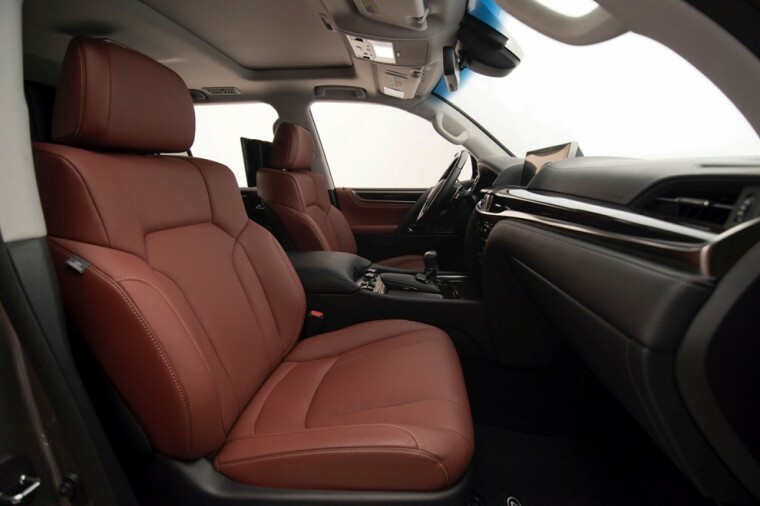 As a member of the luxury segment and a full-size SUV, the 2016 Lexus LX benefits from a particularly spacious and accommodating interior with no shortage of upscale comforts. 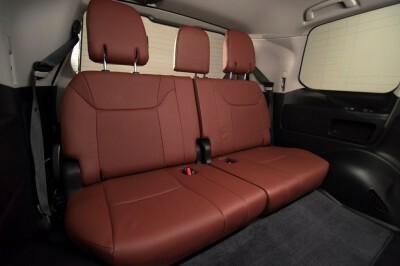 Versatile seating and storage options free up even more legroom, and drivers that opt for the even more luxurious luxury package can choose to include premium leather seating, though the artisanal wood trim comes standard either way. The illuminated console, multi-information display, and steering wheel mounted controls put everything drivers could want front and center. The Lexus Memory System also remembers the settings of various driver seat preferences, allowing different drivers to move their seat back into place every time they drive. 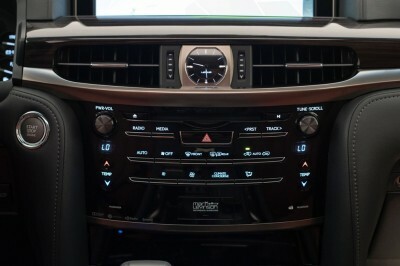 The 12.3-inch touchscreen display connected to the navigation system in addition to the Lexus Enform suite – Destinations, Service Connect, Remote, and the App Suite — also come standard with the single trim, providing passengers a wide variety of entertainment and information sources. 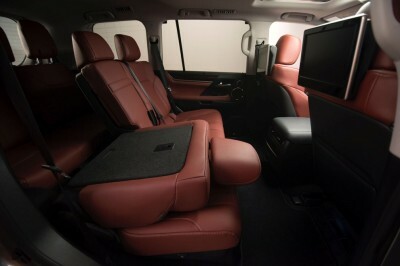 More common features like Bluetooth streaming and voice command technology also come with the Lexus LX. The 2016 Lexus LX provides a long list of the latest standard safety systems on the market. 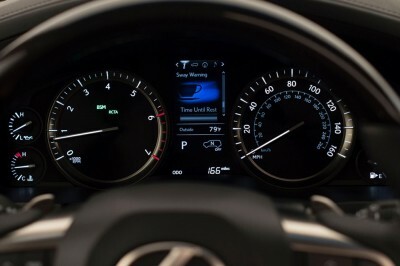 The pre-collision feature comes with pedestrian-detecting sensors, and other features, like automatically-adjusting cruise control, lane departure alert, parking assist, and smart stop technology, all make use of similar sensors to actively predict hazardous road conditions and warn or assist the driver. 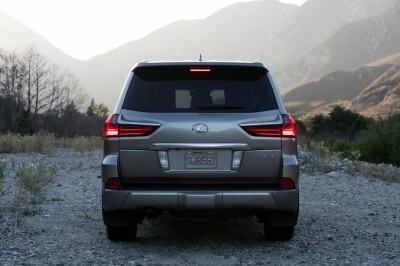 There are also anti-lock brakes, a brake assist system, and advanced multi-view cameras mounted on the front, sides, and rear to give the driver a full 360 view of the area around the Lexus LX.